Klaxons are a psychedelic Nu-rave band based in London and active since 2005. The band consists of Jamie Reynolds (bass, vocals), James Righton (keyboards, vocals) and Simon Taylor-Davies (guitar) with drummer Steffan Halperin being officially added in 2007. 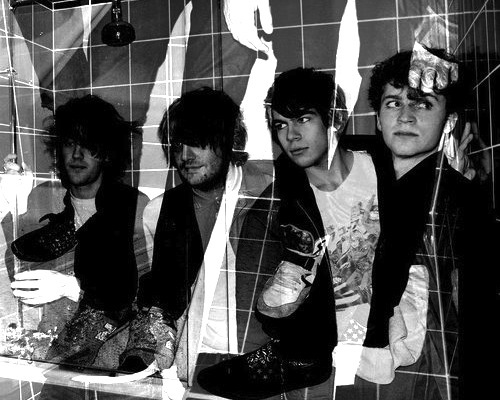 Following a string of successful singles and EPs released on different independent labels, Klaxons released their highly anticipated debut album, Myths of the Near Future, in January 2007 and it went on to win the Mercury Prize. Their sophomore album, Surfing The Void, which was three years in the making, finally hit the stores last August. This eagerly awaited follow-up sounds astonishingly loud and euphoric and it has been described by NME as “one of the best pop albums of the year – but still one of the most individual and ambitious”.